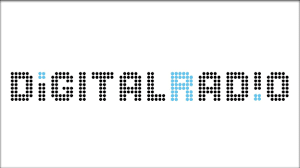 In a groundbreaking promotion for the digital radio standard DAB+, every public service radio station in Germany will be joining forces to inform listeners of the advantages, choice and new possibilities offered by digital radio on the 29th August. Every radio station operated by BR, DeutschlandRadio, HR, MDR, NDR, RBB, Radio Bremen, SR, SWR and WDR is taking part in the 24 hour plug for DAB+, accompanied by additional features on the ARD TV channels and online. The special day is timed to take place in the week running up to the major IFA 2016 TV & Radio trade fair in Berlin. "We are setting a strong signal, that DAB+ is a standard for a modern radio service that is fit for the future in Germany and Europe." The selling points for DAB+ being stated to consumers in the country include the facility to broadcast more information alongside the actual radio programme, including enhanced travel news, weather graphics and music track details,all without eating away on data allowances typical for internet radio on the go. Five years ago, Germany ditched original flavour DAB, still favoured by the big UK radio groups, in favour of DAB+, but it's taken until this year for the service to gain significant traction in terms of coverage and inclusion in car radios.